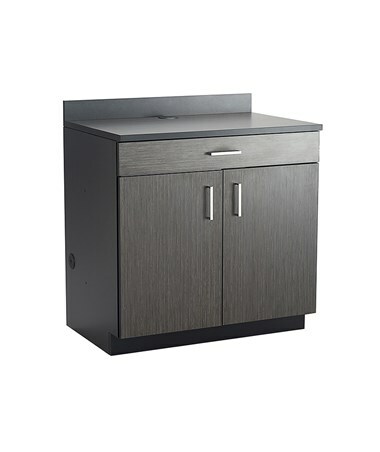 The Safco 1-Drawer 2-Door Hospitality Base Cabinet is an exceptional 2-in-1 modular storage perfect for home use. 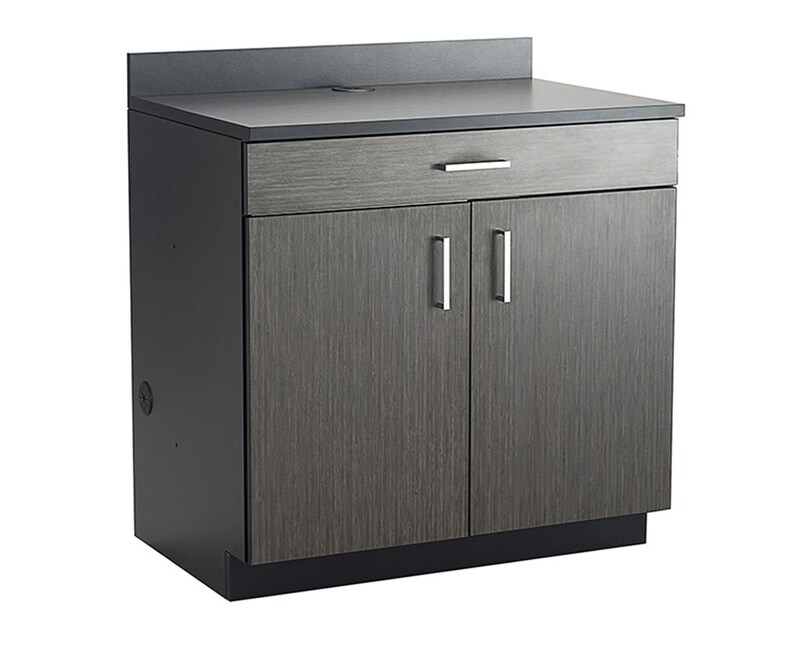 The slide-out drawer and the two-door cabinet have contemporary brushed nickel hardware handles and soft, self-closing mechanisms. The interior has one adjustable shelf with seven mounting positions and adjusts in 2.5-inch increments. It can support up to 100 lbs of evenly distributed weight. This base cabinet has a countertop with integrated flexible grommets for cord management and three inches high backsplash affixed to it. Also included are integrated, easy-to-use floor levelers. 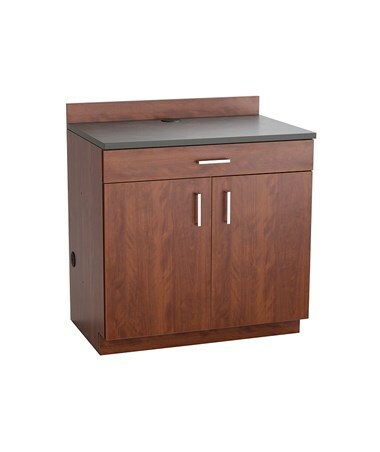 This base cabinet is made of ¾-inch thick TFM laminate with a one-inch high-pressure laminate and 2mm PVC edge band countertop. It is resistant to heat, moisture, stain, and abrasion. 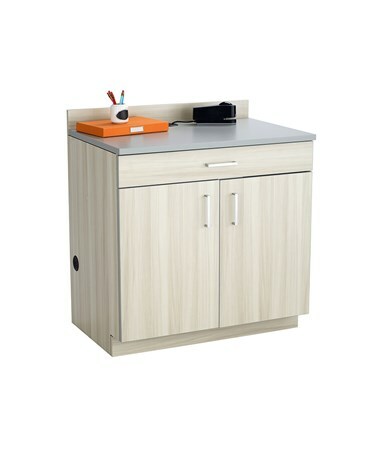 This unit is easy to assemble with metal connector pins and vibration-resistant cam-lock fasteners. 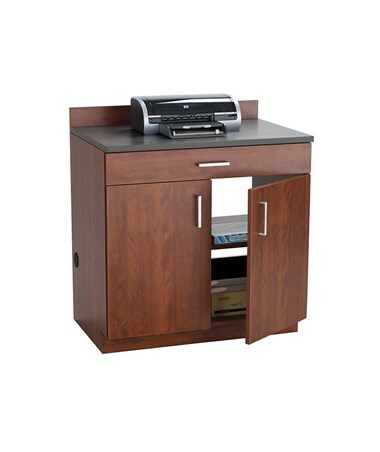 The Safco 1-Drawer 2-Door Hospitality Base Cabinet is available in three different colors. Please select your preference from the drop-down menu above.